Cap Sleeve Bridesmaid Dress features V-neck bodice,lace appliques and beaded adorn both front and back. Illusion and embroidery lace detail in back, it is simple but same time classy and elegant.The floor length 75D chiffon skirt complete the vivid and delightful look. 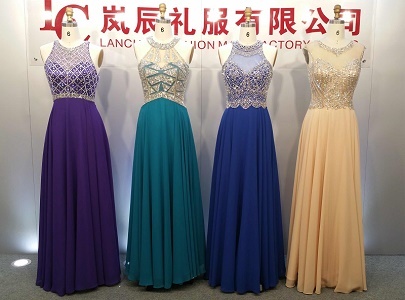 Thank you for visiting Lanchen Fashion.This is the right place where you will find hundreds of Prom Dresses or Evening Dresses etc. Any questions, please feel free to contact us first, thank you! 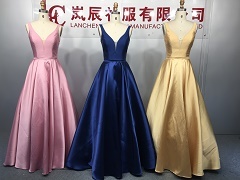 Chaozhou Lanchen Fashion Manufactory Co.Ltd. 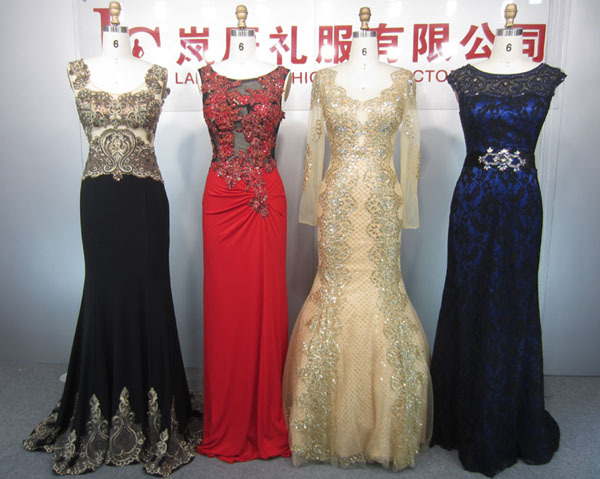 is one of the professional factories for Evening Dresses,Prom Dresses,bridesmaid dresses and women dresses in Chaozhou,the famous production base of the whole world for such items. Quality is our culture! After-sales Service is our aim! We have 12years of evening dresses production experiences,our boss is a young excellent manager and designer. With our serious working attitude and rich experience in this line, We believe that we may supply you satisfied dresses and service. Sincerely hope that you will choose us and become our buyers and friends. Company Name: Chaozhou Lanchen Fashion Manufactory Co.,Ltd.